Every area has its good points and we love to help keep them alive and add to them as much as we can. Friern Barnet waste disposal is just one of our many contributions to making sure the city of London gets the help and care it needs to remain the most beautiful place in the world. As a team that loves nothing more than to get a sweat on as we roll our sleeves up and get to work we are the number one game in town when it comes to getting things done, when you need to. As well as regular rubbish removal Friern Barnet residents can turn to us for all manner of help and assistance in their hour of need, a prime example being a large one-off rubbish collection. Friern Barnet has long had to endure unreliable service that tests the patience of everyone involved. That’s not the kind of experience that we would wish on anyone, so we pull out all the stops as we move heaven and earth to make sure that every single one of our loyal customers are given the service their hard work in life deserves. A swift rubbish clearance Friern Barnet residents can rely on is one thing, but how about a full top to bottom house clearance? Friern Barnet you need not worry because we have that covered too. Whether you are doing a massive spring clean, moving house, or preparing your rental property in a hurry for new tenants eager to make your house their home, we will make sure the job is done in plenty of time so that you can focus your efforts and energy on what you do best. As well as the capital’s best rubbish disposal, Friern Barnet can now call on our small army of gardening experts to help transform their green spaces and outdoor areas. With all the skills you need to call upon to transform your little patch of tranquility into something truly magical, we love nothing more than to unveil our latest efforts before your eyes so that you can soak everything in. 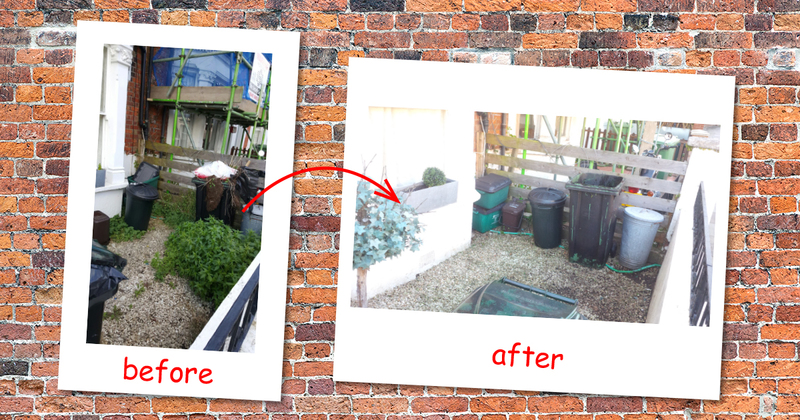 To see what we can do why not take a look at some of our before and afters on Facebook today? So it really is that simple to change the way you approach the daunting task of organising a waste collection. Friern Barnet just needs to save the City Junk hotline to their phone and give us a call for that peace of mind everyone deserves. To put to the test the experts in waste removal Friern Barnet residents of all ages have been talking about as the best thing to hit the area in years, all you need to do is pick up the phone and give us our next challenge today. That in a nutshell is how we approach business: it is a challenge that we embrace so that we are never lacking in the motivation that ensures everyone is left happy once we leave!